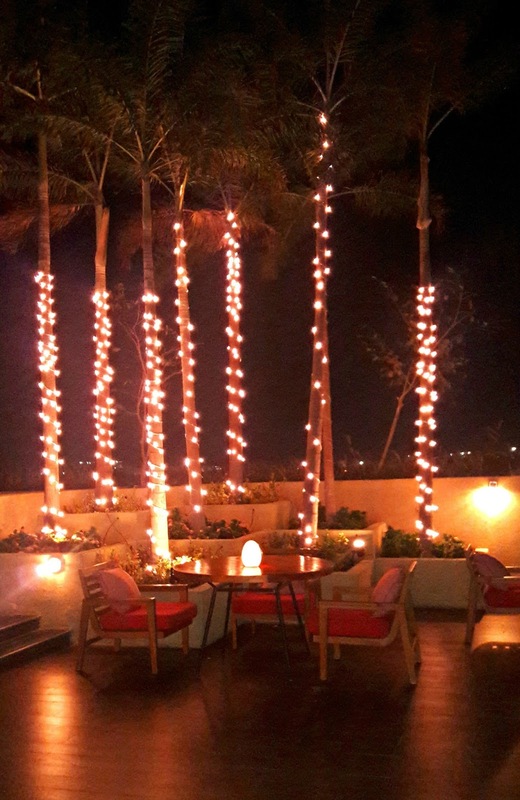 Up the lift, past the pool, up a short flight of stairs and there, on the open terrace is the coolest, breeziest place in Chennai- the Sunset Grill at Westin Chennai Velachery. 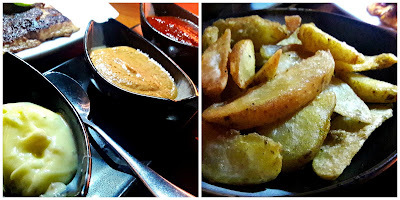 When Sunset Grill opened up nearly 2 years ago, I was invited for a review. That day, rain played spoilsport but I do remember being shown those stairs and being told that up there was where the alfresco grill restaurant was located. 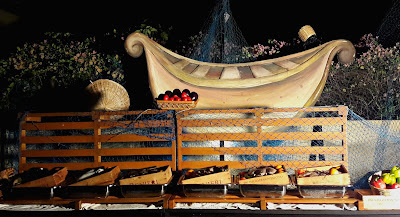 The first thing I see are wooden boxes holding the catch of the day. 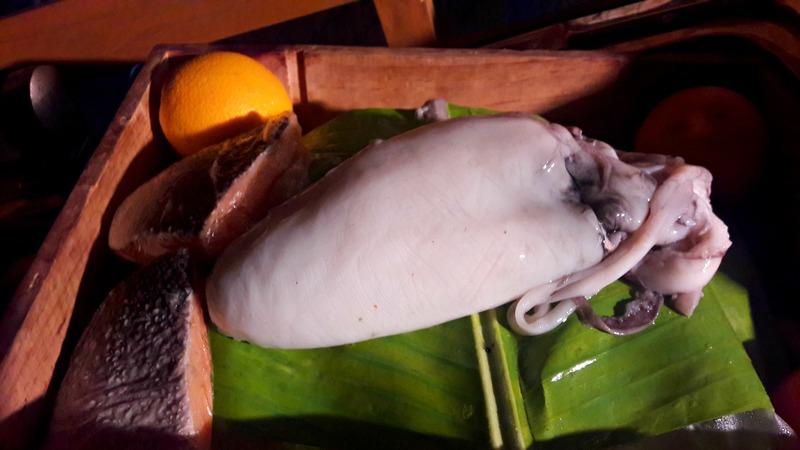 There's fish, giant prawns, lobster tails, crabs and bivalves, a wicked looking cuttlefish and a coconut shell full of tentacles! And I have to make choices... this is after all the Seafood Bazaar and Ceviche festival. The upholstered chairs are so comfortable; I sink into them, just want to stay there and not make any decisions. I'm joined by Executive Chef Yatendra Rawat who takes charge. Thank goodness because in a couple of minutes, our dinner order is placed and I'm sipping on my Sunset Cinderella. It's a great spot to unwind and do nothing more than watch a thousand stars twinkling up in the sky and trees that sway in the breeze, their branches lit up by tiny bulbs. So here's how the bazaar works. 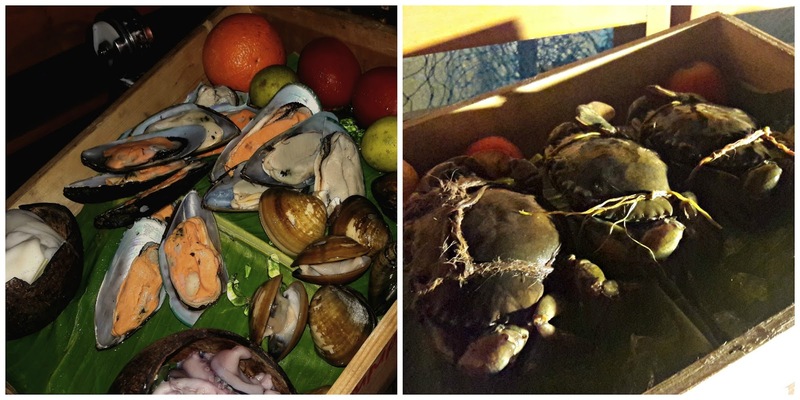 Pretend you've gone seafood shopping. The catch includes beautifully pink Norwegian salmon, jumbo prawns, lobster tails, calamari, clams, mud crab, cuttlefish and bivalves like mussels and clams. Take your pick. 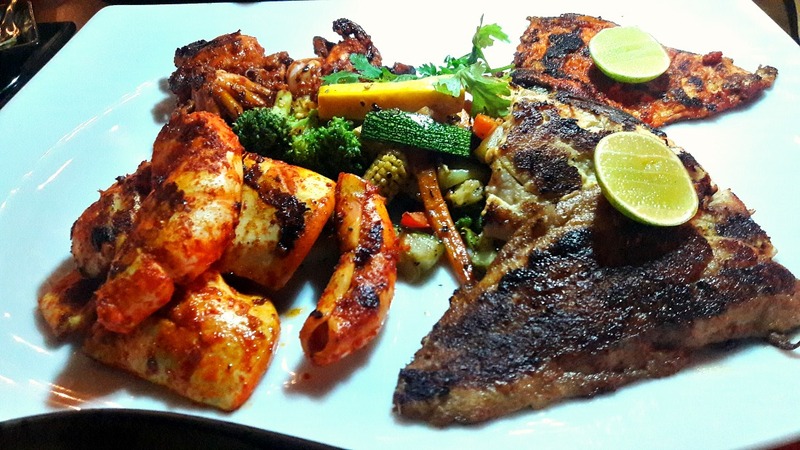 You choose from a selection of 4 marinades - peri peri, Asian, lemon garlic and Mediterranean. Then you choose a sauce - romesco or ravigote(a sort of vinaigrette) or peri peri or Bearnaise. 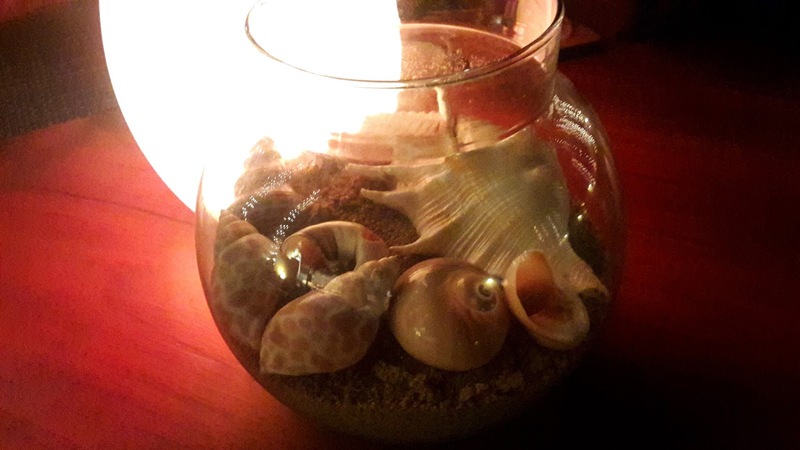 The staff whisks off your choice of seafood into the glass-enclosed kitchen. And that's it - sit down, sit back and enjoy your drink and the breeze which nearly threatened to topple over our bottle of water! 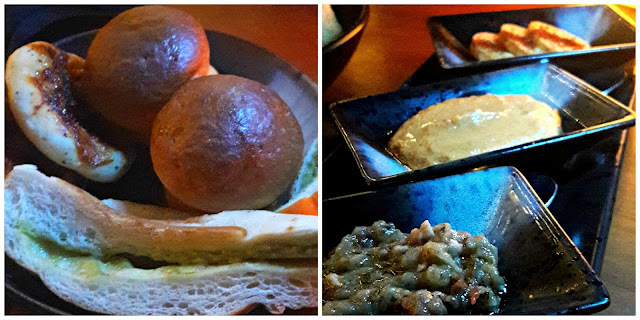 We are served a basket of Westin's deliciously soft signature breads along with 3 dips - roasted aubergine, romesco and butter slices with cayenne. That romesco is simply divine. Then it's ceviche time. The menu says it's made with tiger's milk ...where did they go to get such an exotic ingredient? 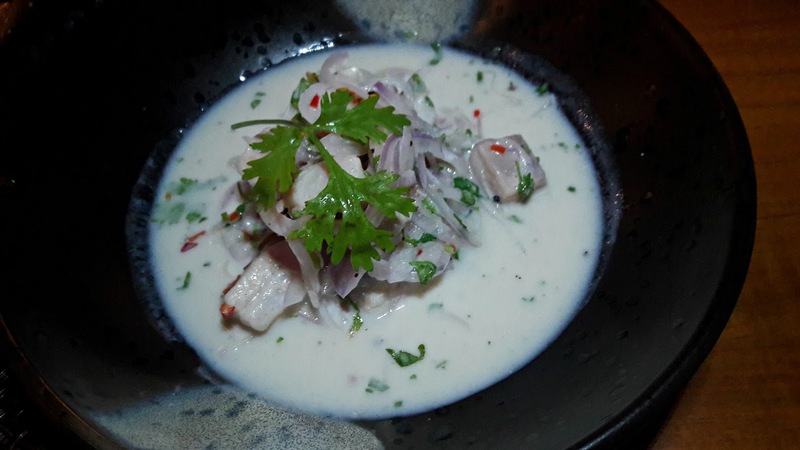 Let's start with the ceviche - this one's made with a mix of seafood. 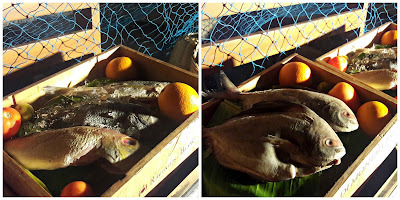 Chef Rawat hastens to add it's perfectly safe to eat seafood raw as the lime juice "cooks" the fish. The juices that are released in the "cooking" process is called tiger's milk. Among other things, there's thin slices of shallots, finely chopped chilli peppers, coriander and small cubes of springy seafood and it is absolutely absolutely delicious. Nothing tastes raw and that hit of acid and chillies is stunning. 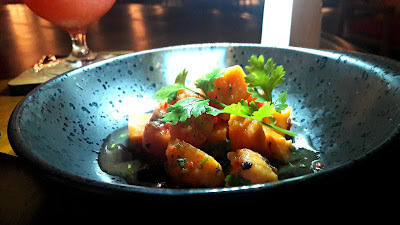 We are then served a vegetarian version of ceviche - with papaya. The combination of sweet papaya, chillies, lime and coriander is fabulous. There are 2 vegetarian and 2 non veg ceviches on the menu. Chef Rawat has ordered a platter of octopus, snapper, sea bass and pomfret, along with tentacles. The marinades are peri peri, Asian and Mediterranean. The freshness of the fish in the various marinades is outstanding. The peri peri marinade was perfect with the cuttlefish and of course, everything was grilled to perfection. 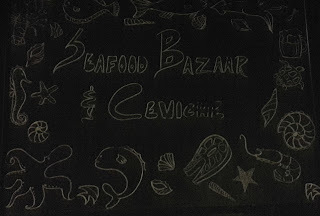 Incidentally, all the seafood used is indeed from the sea! And fresh! The sauces are interesting, the Bernaise toned down the spice level of the peri peri. The grills are served with roasted vegetables and a choice of mashed or baked potato wedges. 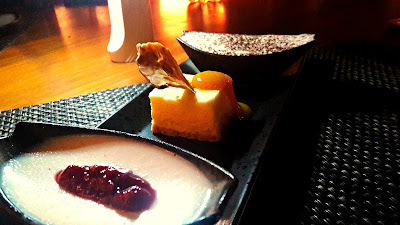 Dessert is Sunset Grill's platter of baked yoghurt, classic New York cheesecake and tiramisu. The baked yoghurt with raspberry coulis is smashing, so too the cheesecake with mango coulis. The tiramisu had a strong taste of almond and a mild coffee flavour which threw the balance out of whack. Vegetarians, do not despair for Sunset Grill does have a menu for those prefer it. Seafood lovers, pick out your seafood and have it weighed. 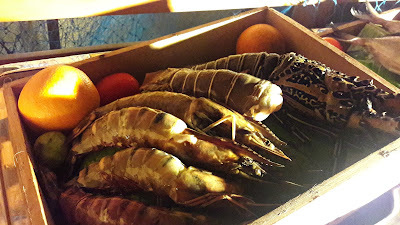 Prices range from 295/- per 100 gm for mud crabs and clams to 895/- for lobster tails. As mentioned earlier, it is served with a choice of sauces, grilled vegetables and potatoes. Ceviche costs vary between 325/- and 425/-. A meal for 2 would be around 4000/++. 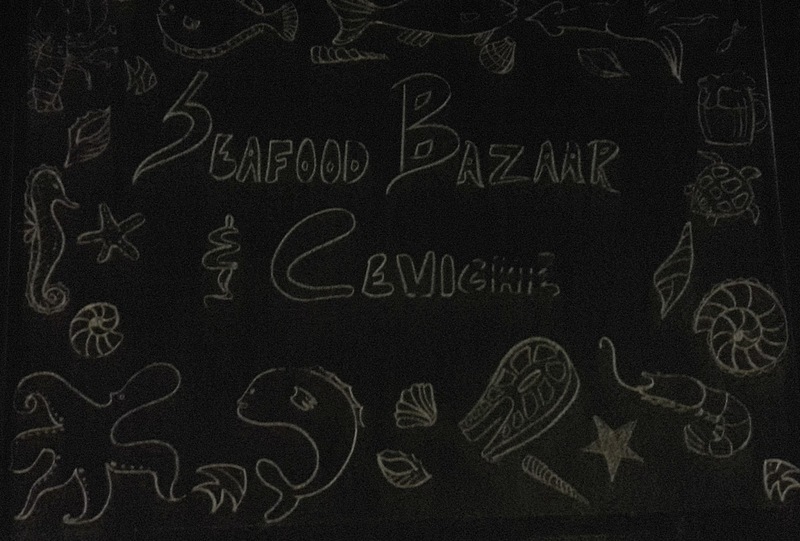 The Seafood Bazaar and Ceviche is on till April 30th, 2016.